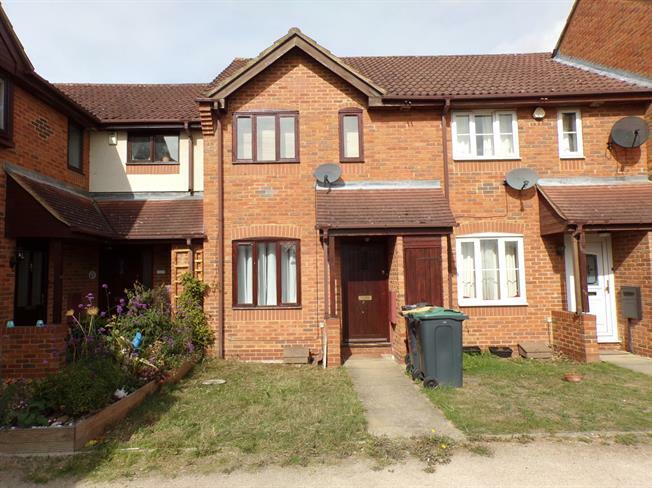 2 Bedroom Terraced House For Sale in Bedford for Asking Price £230,000. A two bedroom terrace home located in a cul de sac position in the popular "Deep Spinney" area of Biddenham. The property benefits from sealed unit double glazing, radiator heating and offers an en suite shower and basin to the master bedroom. There is a separate lounge and fitted kitchen/diner to the rear of the property. Upstairs there are two bedrooms and a fitted family bathroom. Outside there is a garage located in a nearby block. The property is available with the added bonus of no upper chain. Wooden single glazed door, opening onto the garden. Double glazed wood window facing the rear. Radiator. Single enclosure shower, wash hand basin. Double glazed wood window facing the rear. Radiator. Laid to lawn. Rear access gate. Garage in nearby block.